This book is highly topical considering the recent resurgence of violence by the PKK, the incursions into Northern Iraq by the Turkish army and security forces and Turkey's EU accession negotiations. Turkey has become an increasingly important player in Middle Eastern geopolitics. More than two decades of serious conflict in Turkey are proving to be a barrier to improved relations between Turkey and the EU. 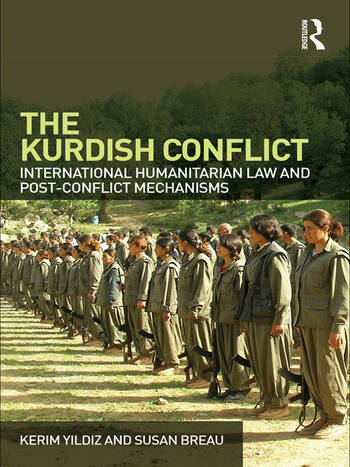 This book is the first study to fully address the legal and political dimensions of the conflict, and their impact on mechanisms for conflict resolution in the region, offering a scholarly exploration of a debate that is often politically and emotionally highly charged. Kerim Yildiz and Susan Breau look at the practical application of the law of armed conflicts to the ongoing situation in Turkey and Northern Iraq. The application of the law in this region also means addressing larger questions in international law, global politics and conflict resolution. Examples include belligerency in international law, whether the ‘War on Terror’ has resulted in changes to the law of armed conflict and terrorism and conflict resolution. Kerim Yildiz is the founder and Executive Director of the Kurdish Human Rights Project (KHRP) and is a recognised expert on the Kurdish regions. Susan Breau is Professor of International Law at Flinders University, Adelaide, Australia and is well-regarded for her work in the field of the law of armed conflict and international human rights law.